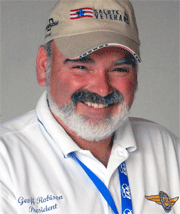 The EAA, the VAA Board of Directors & Staff and Volunteers of Vintage, and a huge number of our friends in Aviation in the Atlanta area are mourning the tragic loss of Ron Alexander who recently lost his life during a flight in his beloved Jenny. Let me first say that our hearts and prayers go out to the family of Ron. This man was the epitome of an Aviator. The best descriptor of Ron I have heard was “Quiet Giant of Aviation”. He was proud to call himself a Hoosier who first immersed himself in Aviation at the age of 14, and he never looked back. He graduated from Indiana University in Bloomington Indiana. Vintage extends its deepest sympathy and condolences to the family of EAA Vintage Aircraft Association Director Ron R. Alexander, VAA 27150, EAA 137890, who was killed on Thursday, November 17, while flying his beloved Curtiss Jenny near the Candler Field Museum he founded at the Peach State Airport in Williamson, Georgia. Words cannot describe the shock and sorrow shared by Vintage members and throughout the entire aviation community. There will be a celebration of Ron’s life at a later date to be announced. On Thursday, November 10th, long-time VAA volunteer and Director Emeritus Phil Coulson was inducted into the Sport Aviation Hall of Fame. More than thirty Vintage members and friends joined Phil and Ruthie to celebrate this event. Enjoy the video below courtesy of EAA Video which highlights Phil and Ruthie’s lifetime of love for vintage aircraft and concludes with Phil’s acceptance speech. 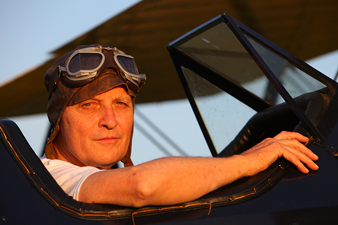 Thank you, Phil, for all you have done for Vintage, for WACO lovers, and for all of vintage aviation. 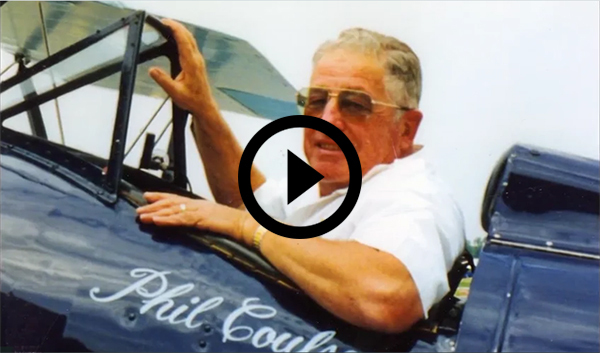 Phil Coulson Hall of Fame Induction from Vintage EAA on Vimeo. 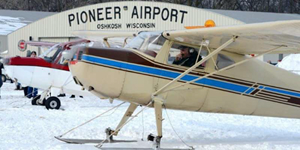 Mark the date and make your plans now to attend the annual EAA Skiplane Fly-In, scheduled for Saturday, February 18, 2017 at EAA’s Pioneer Airport in Oshkosh. This special winter event actually celebrates two important occasions: the unique flight segment of skiplane flying, andthe anniversary of the first-ever meeting of the Experimental Aircraft Association on January 26, 1953, at Wright Field (now Timmerman Airport) in Milwaukee, Wisconsin. In addition to his many other aviation activities, Ron Alexander was a regular contributor to each issue of Vintage AirMail. Like clockwork, Ron provided at least two articles for every issue. He created three very popular series here: AIRPORT ACTION, TECH TIPS, and YOUTH IN ACTION. We need features to share with other members. Do you have a flair for writing? Do you have a restoration project currently underway? What about your favorite airport – especially those with friendly grass runways for our tail-draggers? 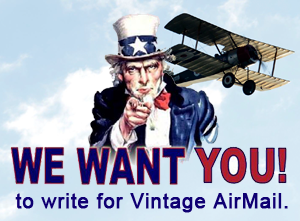 How about local chapter activities of interest to other Vintage members? Don’t like to write? Send us you notes and photos and we will take care of the rest and put together a story for you. Use this form to submit an article. While others were establishing speed records for transcontinental flights during the late 1920s and 30s that required one or more refueling stops, Johnny Jones set what was perhaps the most significant OUTSTANDING FLIGHT of all. His solo, non-stop Los Angeles to New York flight in a 50 h.p. 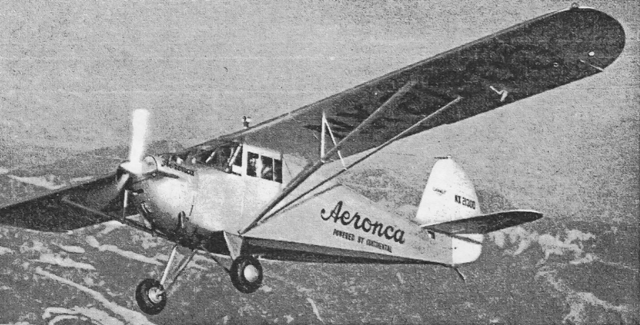 Aeronca Chief proved, without a doubt, what extraordinary efficiency and reliability these light, low powered aircraft were capable of achieving. Read Johnny Jones amazing store here.